Finish: Biaxial. Aerated tiny holes. Breathable. Insoluble. Note: DBFM is exclusive to S B O and is 2x better the quality of generic brands. Fence & Screen, Dust control, Contractors, Event, Promotional. DBFM is a strong polyester filament yarn, knitted into tubular fabric form or in cut lengths and is well suited to temporary fence rental with a 78% blockout. Non tear pattern. Breathable holes, woven, good surface area for print definition. (Excellent printing outcomes vs shade-cloth). Suited purpose to open wire fences, builders, contractors & developers use to surround construction sites ground level. Excellent Dust Control. Typical rent fence heights are 6'ft 1800mm panel high with a suggested SIGN HEIGHT fitted within the top and bottom fence panel rails typically 5'10" 1750mm. 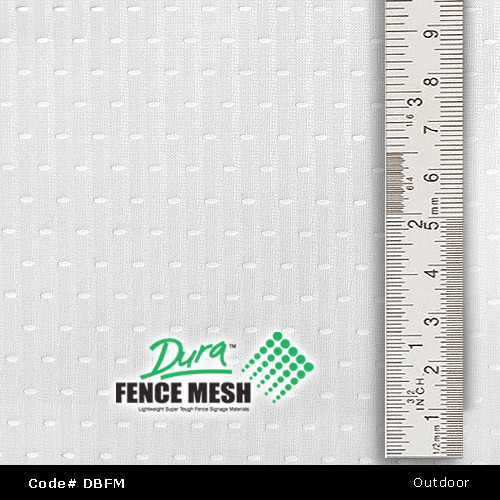 NOTE: DuraFence Mesh is a 'cover material only'. 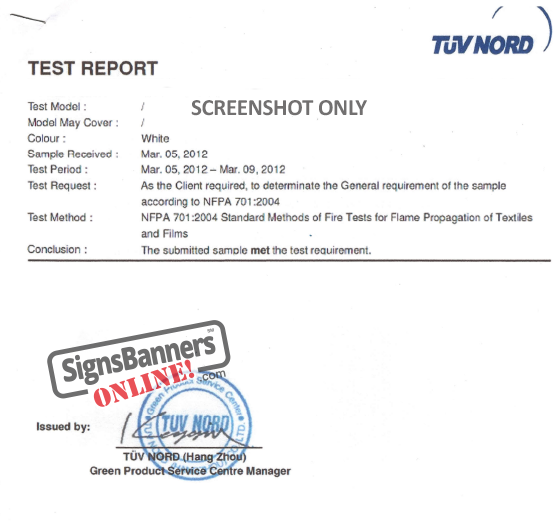 It is not a safety fall product.